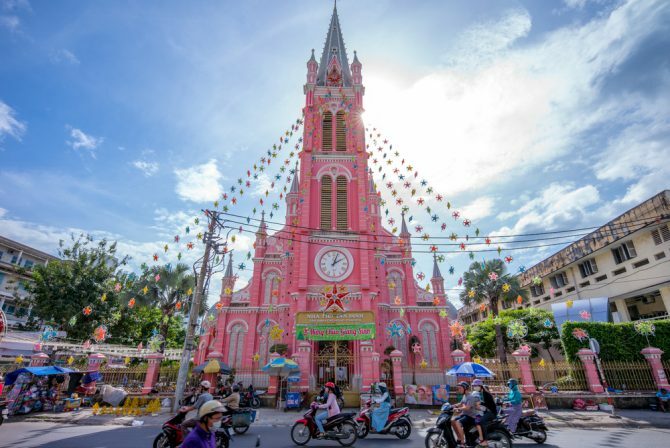 We’re guessing pink purveyors, including the likes of Xiaxue and Paris Hilton, may just want to book the next flight out to Ho Chi Minh City where Tin Dinh Church lies. Also called the Church of the Sacred Heart of Jesus, the 60-metre high religious building sports a lovely rose-hued exterior that reflects a Romanian architectural style of white elegant motifs, curved arches and finely carved details. Aside from impressive bell towers and exquisite Italian marble altars, a massive clock fronts the church, standing out greatly in the midst of its pink facade. The cheery colour also greets visitors with the same amount of enthusiasm when they step into the cathedral, where a chancel is decked out with dangling chandeliers, Gothic styled pillars and intricate statues of various saints lined up on each side. While undoubtedly a stunning architectural masterpiece, Tan Dinh Church is also regarded as a historical and cultural attraction. Father Donatien Éveillard is said to behind the church when it was built in 1876, during which he set up an orphanage, a boarding school and a publishing house to help disadvantaged children. 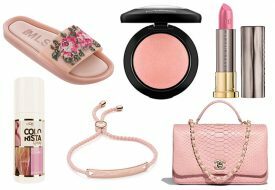 As time passed, along with numerous refurbishments, it was only in 1957 that the church was repainted in its iconic pink – the exterior touts a salmon pink shade and the interior of strawberries and cream. Open daily, Tan Dinh Church is located along Hai Ba Trung Street in District 3, a 10-minute taxi ride from District 1. You may want to sit in for its Masses, from Monday to Saturday including 5am – 615am, and 530pm to 7pm. Sunday Mass is more special with schedules including 5am – 615am, 730am-9am, and 530pm to 7pm.